Finally, we are getting some warm weather and sunshine again here in northern Minnesota. 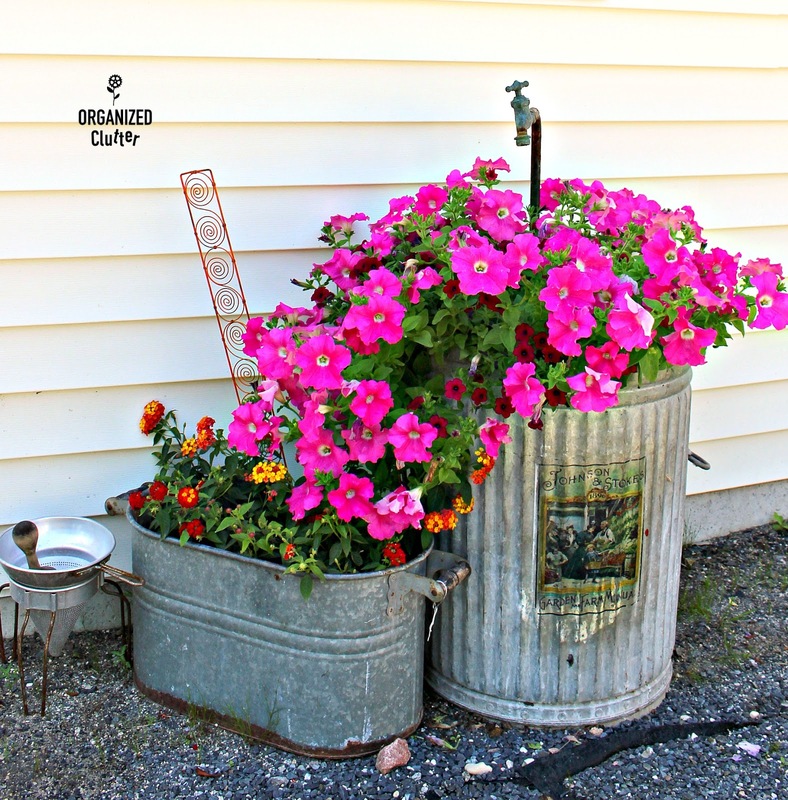 Our annuals still need to do some growing before the 2017 garden tours, but for today I am sharing some awesome junk garden vignettes at my sister in law Kris's house! This is my HAPPY PLACE too! Galvanized bucket and gym locker baskets! Love! 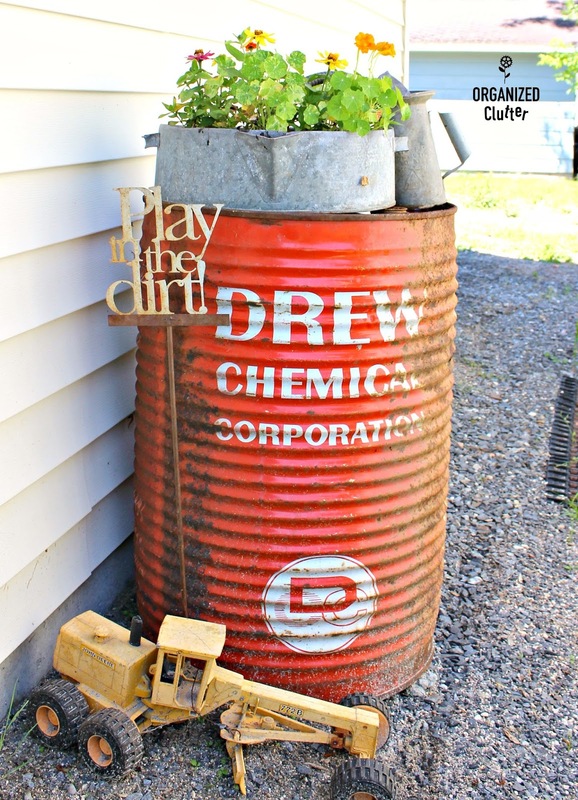 This fun orange/red Drew Chemical drum, grader, sign and galvanized planter are situated on one side of the new garage. More galvanized love! That Mod Podge image transfer is really holding up in the garden! And how about this fence? Do you know what it is? 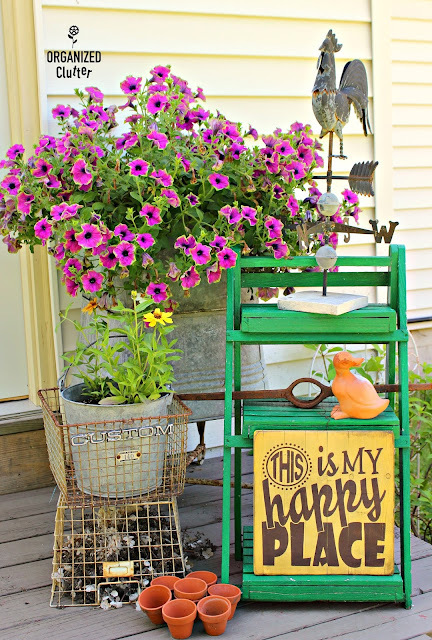 It's a gazebo canopy salvaged from the dump. Cut in half for fencing. Super clever and fun! 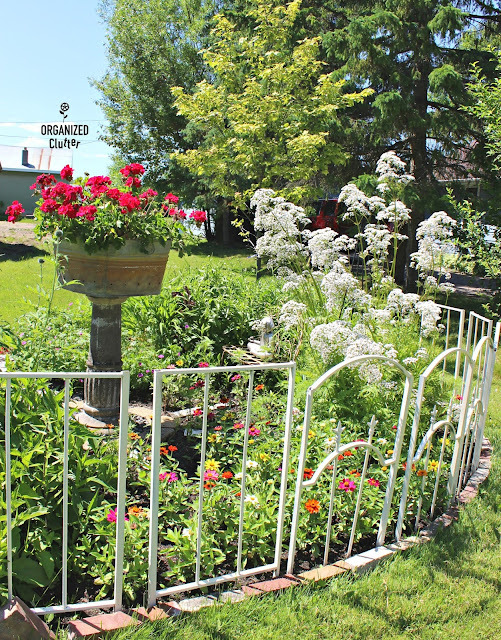 We will be returning to the Yard of Flowers for the annual tour later in July!